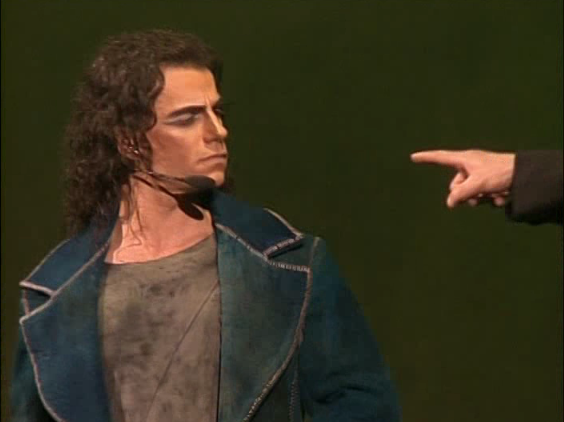 I’m at a loss as to what to say about Gringoire in Notre Dame de Paris . Unlike Esmeralda and Frollo. 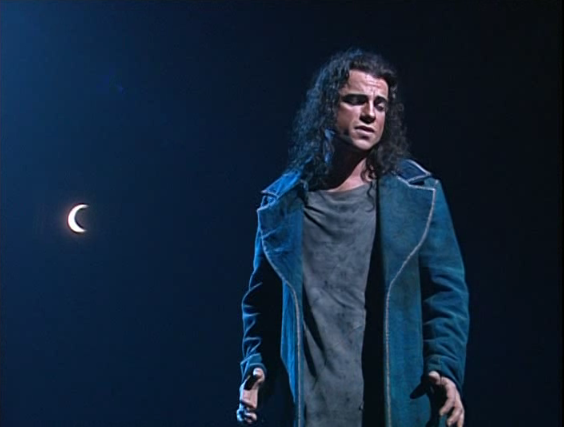 Gringoire’s characterization doesn’t change version to version, so there isn’t a distinction between Bruno Pelletier’s Gringoire to the other actors. 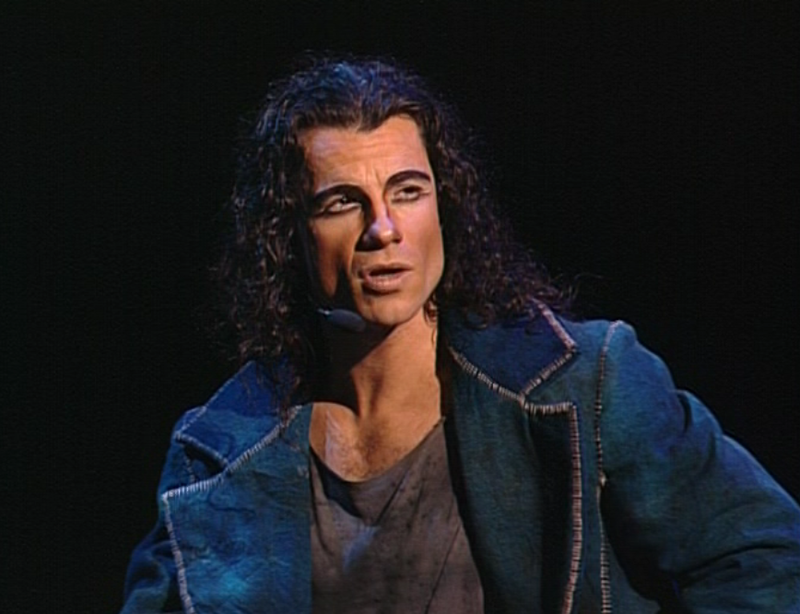 Gringoire is the story teller and gives some exposition. 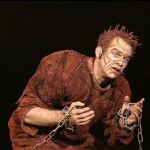 He sort of interacts with other characters, mainly Frollo. 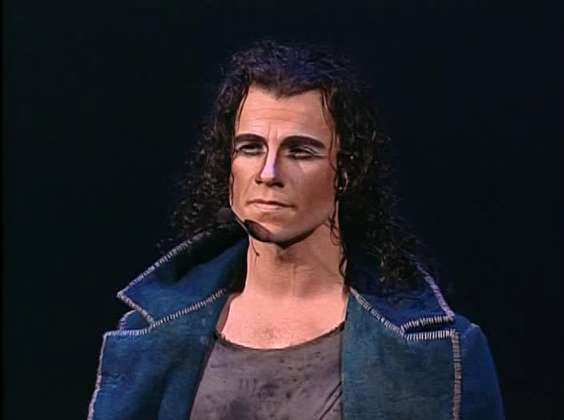 However Gringoire is likable. He just immersed into this world and story that he pulls the audience into it. Every song he sings there is a certainty to it and it makes him seem all the more wonderful. 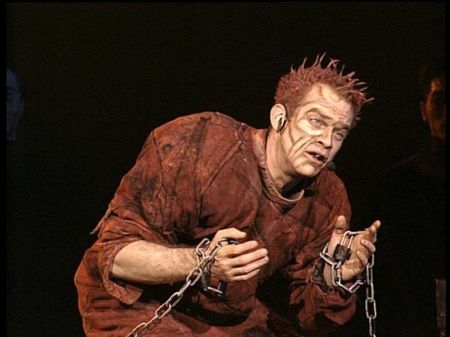 Gringoire here isn’t a coward like he is in the book. He starts off liking Esmeralda but he doesn’t pursue her or fall in love with her like in some other versions. It does seem a little hurt when Esmeralda tells him that she likes someone else but he takes in strides. Speaking of Esmeralda, I wish he got another song with her. He only got one duet with her plus two ensemble numbers, they also get two lines in an addition to La Cour des miracles in other versions. That’s sort of it, he doesn’t have much a characterization as all the songs he sing say nothing about him except that he is a troubadour and not a ladies man, that’s it. This should bother me but there is so much power in the songs Gringoire sings that it’s forgivable.